In this season of gratitude, it’s really important to me that you know how thankful I am for YOU! Yes – you! Your interest in yoga is what prompted me to embark on this journey of becoming an Author. 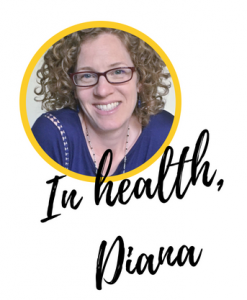 For the past two years, I have been driven to create a simple, welcoming introduction to the practice of yoga and in that process, I have found so much more! My original intention with the Ready For Yoga project was to help people live their best life possible. The hidden gem in this for me has been that the process of writing, designing and creating was far more rewarding than I ever would have thought possible. So I find myself here on Thanksgiving Day, wondering how I can even better serve you – for I am thankful for what this project has already given to me! 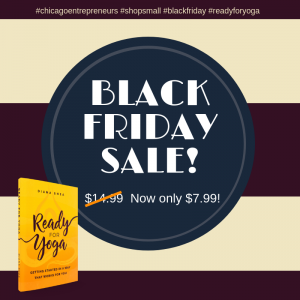 To show you how much I appreciate you, I have discounted Ready For Yoga nearly 50% for the whirlwind holiday shopping weekend. Who on your list would benefit from this book? Your mom? Your neighbor? Your child’s school teacher? The mailman?! At the low price of $7.99 for the paperback, you might even stock up to give it to friends throughout the year as needed. You never know who will benefit most from it! You might change a life – quite seriously. May you be blessed this holiday season! P.S. – Feeling a little sluggish after Thanksgiving? I’ve posted a 5 pose sequence for digestion and detox in our Ready For Yoga private Facebook Group. The purpose of the group is to create community for anyone interested in getting started with yoga or encouraging others to do the same. Please join – we would love to include you!